Orange peels are collected from street vendors, sterilized, sun-dried and cut into various shapes, then adorned with feathers and decorations to create these cheerful Christmas angels. 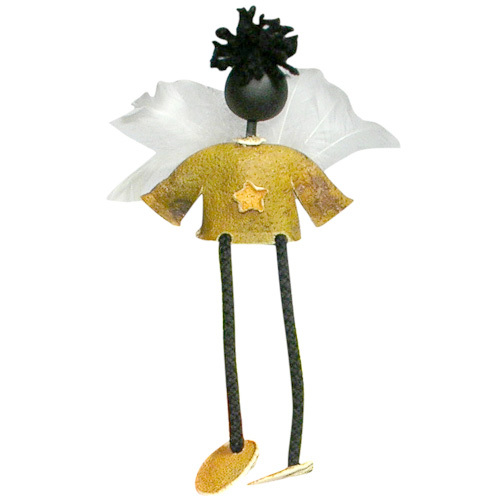 This recycled orange peel angel is sure to add a fragrant and eco-positive theme to your Christmas decor. These orange peel angels are handmade by artisans at Piel Acida, a craft producing organization started by Ms. Ana Piedrahita in 1995 in Bogota, Colombia. The organization has grown to support artisans all over the country creating traditional and contemporary craft products as well as providing insurance, educational assistance, loans and other services. Using orange peel is an innovative method for creating beautiful Christmas decorations. This creative idea comes from the artisans of Piel Acida, a small Colombian company based in Bogotá. 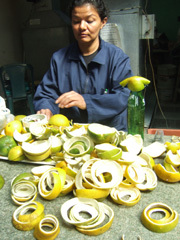 Even though Colombia is among the highest per capita in orange juice consumption, maintaining a consistent supply of natural raw material such as orange peel, however, remains a major challenge. 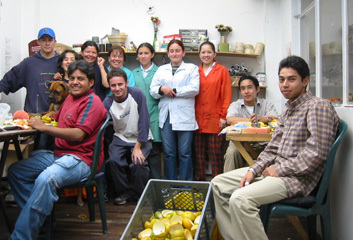 For members of Piel Acida, it is a daily activity to collect orange peels from house to house in the city and also from street juice and fruit vendors. The orange juice vendors in and around the city indirectly benefit from this program at Piel Acida, as they are able to make an additional income by selling the peels. These collected peels undergo quality inspection and only the best ones with the perfect texture and color are used, many go waste in this process. 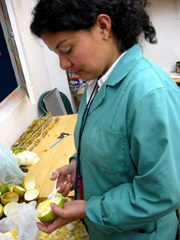 Once selected, the orange peels are cleaned and dried. The semi dry peels are then cut and shaped by skilled artisans to create objects such as nativities, tree decorations, mobiles, boxes and jewelry. They are also combined with other materials like corn husk, beads, threads and ribbons to create the required form/ structure of the product. Orange peel products last forever, even though the refreshing fragrance of fresh oranges fades away with time. 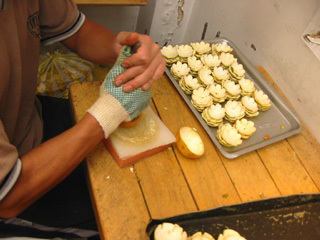 For a short video about the process of making these orange peel crafts, please click here.